Sterling Aero Marine Services was founded in 1992 by Larry Simpkins, an FAA certified Aircraft Transport Pilot (ATP), Aircraft mechanic (A&P) and Aircraft Inspector (IA). Known for years as Sterling Aviation Services, Sterling Aero Marine Services enjoys a reputation for specializing in repair and service of various types of aircraft from small single-engine trainers to large multi-engine corporate jets. We continue to service numerous aircraft for the private and corporate sectors in Central Virginia. Larry has enjoyed a diverse career as marine mechanic in the yacht and boat industry. Having completed an apprenticeship in the prestigious boatbuilding community of Hamble on the South Coast of England (the “ Mecca” of UK yachting), Larry has acquired expertise in all fields of boatbuilding and boat repair and service. He has been privileged to serve as Engineering Officer in the Sultanate of Oman in the Middle East, maintaining the Sultan’s personal fleet of motor yachts and powerboats. As a boat owner, water skier, windsurfer and Jet-Ski rider, Simpkins stays close to the marine industry. To become involved again with his “first love,” Larry created Sterling Aero Marine Services to provide professional boat as well as aircraft maintenance. In pursuit of our value of advanced technical training, more efficient work product and higher customer satisfaction, we have achieved certification by the American Boat & Yacht Council (ABYC) - a non-profit, member organization that develops voluntary safety standards for the design, construction, maintenance, and repair of recreational boats. For more information see the American Boat & Yacht Council (ABYC) website. 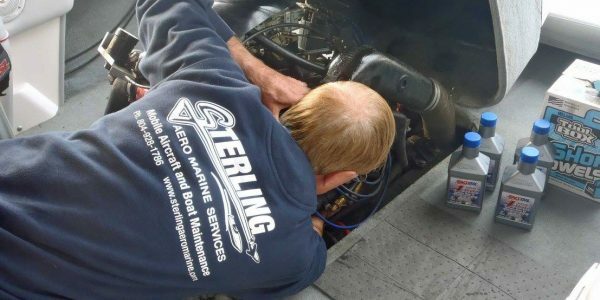 Sterling’s mobile aircraft and boat repair and service is unique among boat repair and service companies in Lake Anna and Central Virginia. With Sterling, there is no laborious trailering, or driving your boat or personal watercraft to a repair and service facility! A skilled Sterling technician services your boat at your home or dock. Sterling Quality Services - and On The Move! 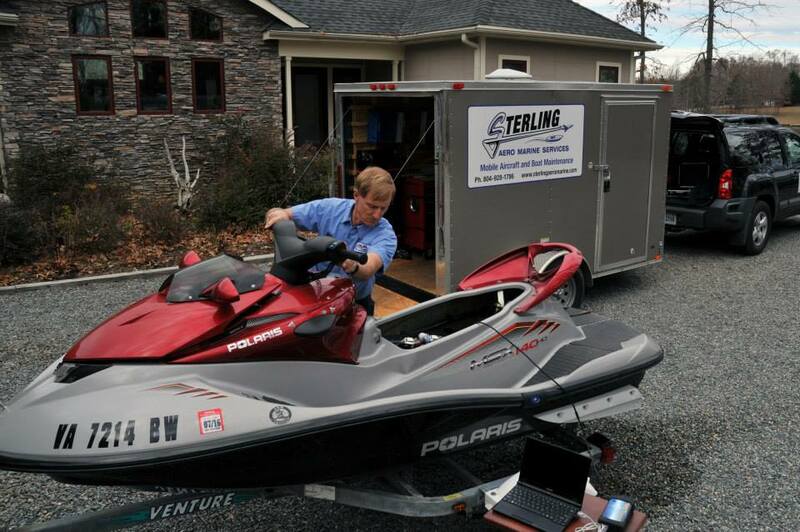 With Sterling, there is no laborious trailering, or driving your boat or personal watercraft to a repair and service facility! A skilled Sterling technician with a well equipped mobile workshop and the latest computer diagnostic equipment comes out to work on your boat at your home or dock! Sterling keeps your boat, yacht or PWC running in top condition, whether it has an inboard engine, an outboard engine or (as with a sailboat) no engine at all! Because we are a mobile marine repair and service company, we provide services at your home or dock. No need to take your boat or PWC out of the lift and trailer it to a repair and service facility. Sterling Aero Marine Services, is the only fully mobile Shrink Wrapping service in Central Virginia. We can shrink wrap almost anything for protection from the weather, storage or transportation, including Boats, Jet-skis and Recreational Vehicles. 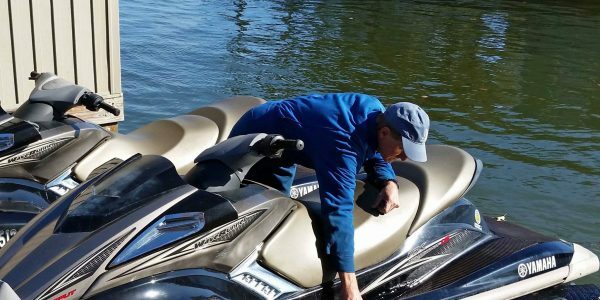 01Fully Mobile We will come to you Based in Louisa County (Virginia), we offer prompt mobile boat and personal watercraft (Jet-Ski) repair and service on Lake Anna and surrounding areas. Sterling keeps your boat, yacht or PWC running in top condition, whether it has an inboard engine, an outboard engine or (as with a sailboat) no engine at all! Because we are a mobile marine repair and service company, we provide services at your home or dock. No need to take your boat or PWC out of the lift and trailer it to a repair and service facility. 02Professional, high quality service All Sterling marine repair and service is performed to the same rigorous standards we use to maintain sophisticated modern jet aircraft. Therefore, you can be assured of high quality, efficient workmanship. 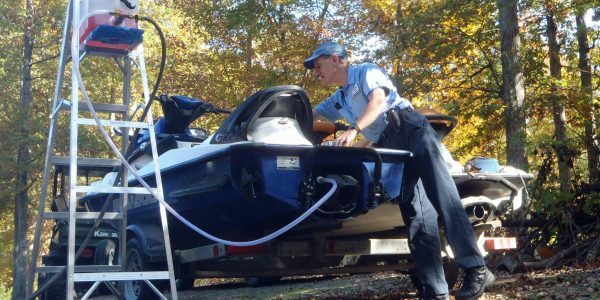 Sterling's Mobile Boat and personal watercraft repair and service is unique among marine repair and service companies in the Lake Anna and Central Virginia area. 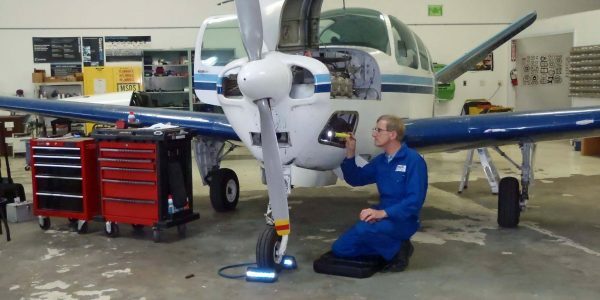 03Mobile Aircraft Maintenance With over twenty years of maintenance experience on aircraft, ranging from light sport airplanes to airline regional jets, Sterling Aero Marine can carry out your next inspection or repair. All work is performed by an FAA qualified Airframe and Powerplant aircraft maintenance technician (A&P) with Inspection Authorization (IA).